We repair (iPhone 4 4s/5/5s/5c/6/6s/6P/7/7Plus/8/8P/10/XS and more ) all iPad, iPod and all other brands of smart phones & mobiles. 9 to 6 Seven days a week. 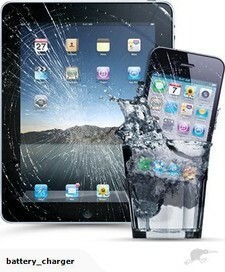 We offer most on-the-spot repairs, taking less than thirty minutes to get your device up and running again! NO INSPECTION FEE FOR LIMITED TIME. Samsung phones and tablets, S6/Edge, S7/Edge, A3/5/7 and many other phones and tablets. We also service other brands such as Sony, HTC and LG ETC. Great service, sent my iPhone 7 from Wellington and had the screen repaired to like new condition and sent back with 4 days. Very reasonable price aswell. Thanks for the very professional service! Dave fixed our Ipad gen3 that went dead after the frayed charging cable shorted. Great result after trying the Apple service centres who said it was a vintage unit and they couldn't look at it. Excellent service. Dropped my sons iPhone 5S in for a screen replacement on Saturday (LCD colours not display properly), done that day. Phone working as new. Totally recommend service to anyone, and will use again if needed. Good service used three months ago for new digitiser, works well. Thanks once again for replacing miry iPad mini screen. Great job ???? Professional and same day service. Would definitely recommend. Can you repair the on/off button of an iPhone 5 under the Apple warranty?. Is your repair a same day service? Had a ipad 2 that needed a new battery and charging dock. Repair was faultless. Excellent communication and speedy service. Will be recommending to all my friends with broken screens etc. Thank you very much, great and fast service! Great service, great communication and very good fix quick and efficient. highly recommended.